I had a lot of fun hosting the Sweet Bee’s preschool class today. 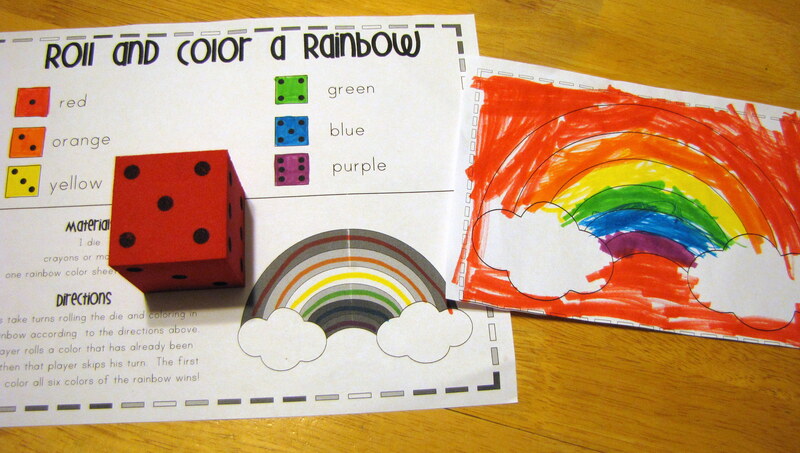 March is the perfect time to talk about rainbows, and we spent a few hours this morning full of color! Calendar—Talk about the day, the month, and the date. 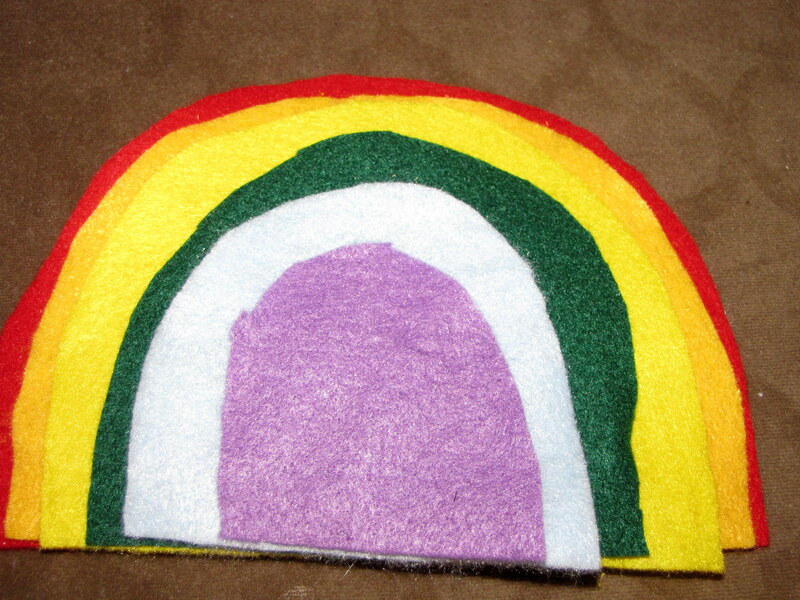 Group activity: Build a rainbow out of felt I made this simple rainbow out of colored felt, to introduce our rainbow theme. Each child picked a color, and then we stacked the pieces on top of each other to form a rainbow arc. 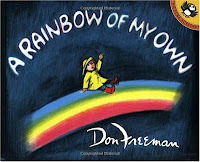 I just discovered this book and it is delightful, and the 4 year olds in our group were all pretty interested in it. Science experiment: Food color mixing in water cups Thanks to Make and Takes for the inspiration! 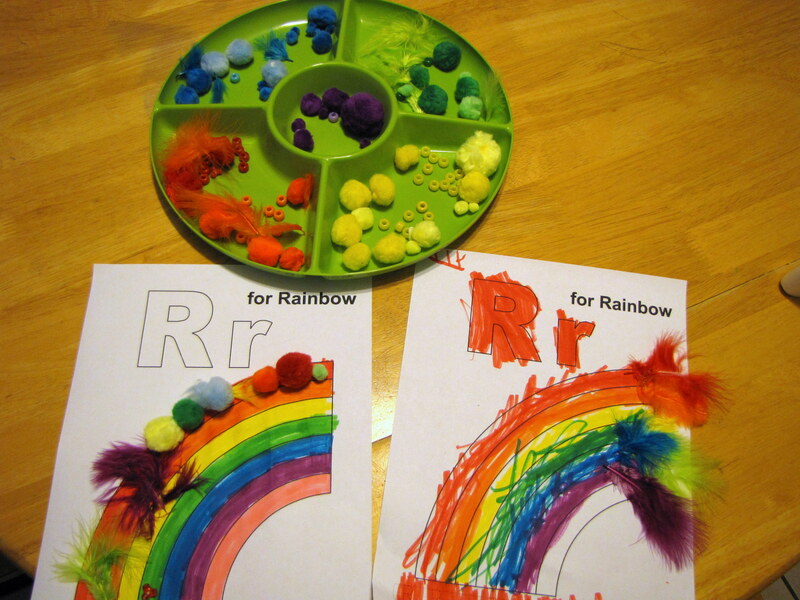 Creative Crafts: R is for Rainbow–use pom pom, beads, feathers, and more to decorate a rainbow. 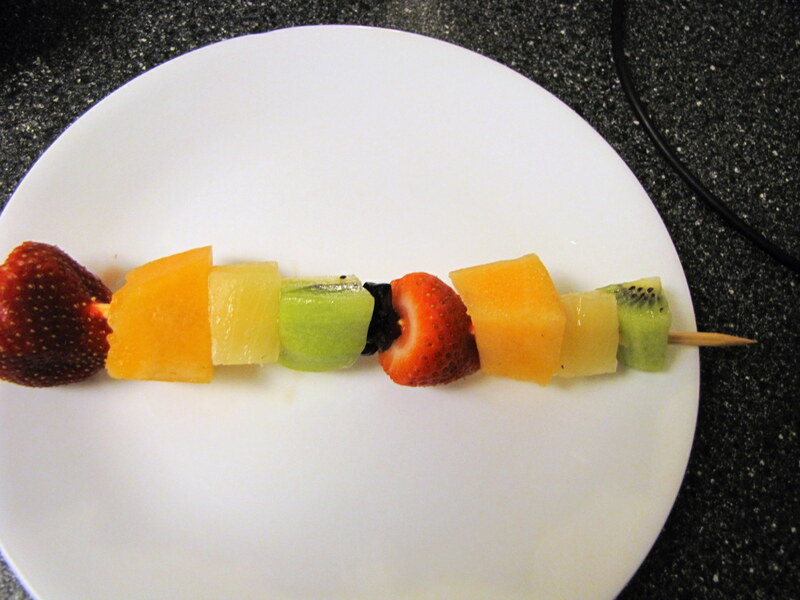 I wasn’t able to get all the colors of the rainbow, but our kabobs were pretty colorful with red strawberries, orange cantaloupe, yellow pineapple and green kiwi. 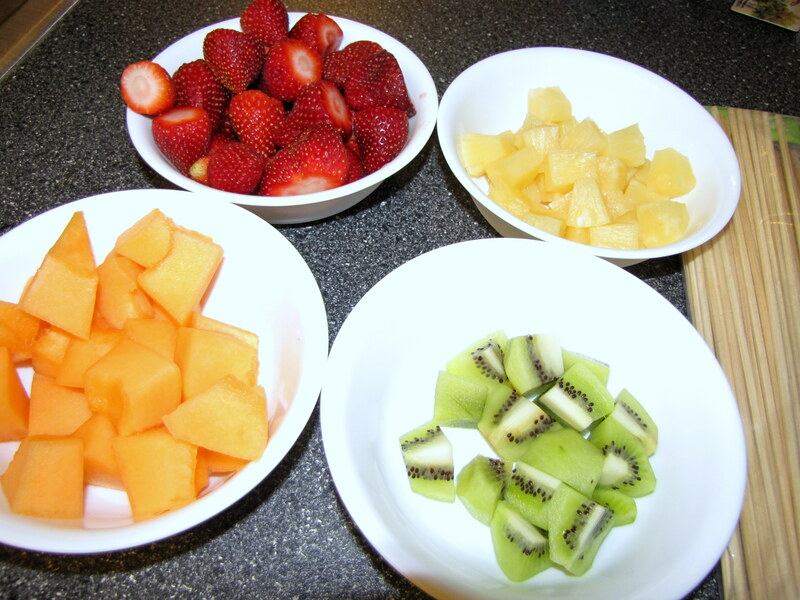 A delicious healthy snack I need to remember to make on a regular day, too! ABC song-Sing while doing something silly like jumping up and down, clapping hands, swimming our arms, etc. Introduce letter R. Use letter block, foam letter, magnet letter, puzzle letter, stamper—pull out of a bag. 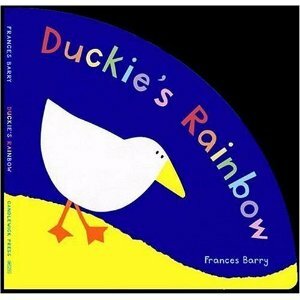 I read the book out loud once, and then I read it again and we all acted it. (“She hopped under the orange bridge…” so we all hopped around the room). Instead of using chairs, we used colored pieces of felt for the children to step on. End the day by blowing bubbles outside and looking for rainbows. 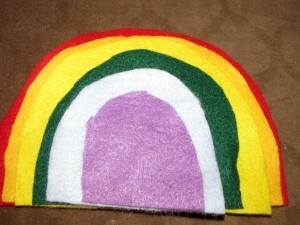 Be sure to check out my Shamrocks and Rainbows post for a few more ideas! Great lesson plan! My preschool kids would love it if I did a theme like this. I agree with Amy this is a great lesson plan. My Early Childhood children would like this theme.